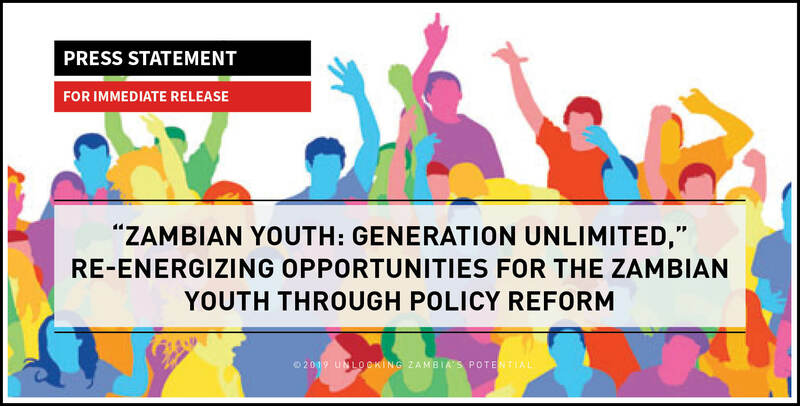 Zambia recently celebrated Youth Day themed “Zambian Youth: Generation Unlimited,” on the backdrop of International Women’s Day (8th March) with the urgent reminder to harness the demographic dividend in view of the country’s youthful population. Peace, economic development, social justice, tolerance – all this and more, today and tomorrow, depends on tapping into the power of the youth. Many young women and girls in the world today are breaking barriers that previously made them vulnerable in the face of unequal opportunities and conservative society. Things have changed and many young women and girls in the world today are taking the lead in science, leadership in the public and private sectors. Zambia’s Demographic and Health Survey (ZDHS) data shows that youths (people aged 15-35 years old) make up about 36.7% of the country’s total population representing the largest number of youth as a share of population in the country’s history, according to United Nations Population Fund (UNPF). Further, the United Nations projects Zambia’s youth population to remain between 34-37% of the population for the next 20-30 years, while the World Bank estimates 56 percent of the local labour force comprising youths and this is projected to continue rising between now and 2035. The Government has created multiple policy frameworks aimed at addressing youth unemployment and encouraged increased participation of young people in the country’s economic development agenda. This is evident from the number of young women and men who have been given the platform to lead in Government and the private sector. Despite these efforts, challenges remain with youth unemployment in Zambia estimated at about 10.5%, above the national average unemployment of about 7.4%. The private sector has a role to complement these efforts by introducing homegrown sustainable youth empowerment strategies for Zambia. Strengthening Labour Regulations and Skills Development Programmes by focusing on policies to improve the quality of labour supply and achieve better market matches between available stock of labour force and the demands of industry. This should include but not limited to skills training, education, expansion of education access with quality, especially for low income households. Zambia’s Industry use of foreign skilled workers demonstrates further evidence of the shortage of well-trained nationals in some fields and provides an opportunity re-double efforts to increase education coverage and quality. There is also a need to shift university programmes towards producing professionals who can meet the needs of industry. Improve quality and Technical and Vocational Education and Training Programmes by focusing on generating on young entrepreneurs that are relevant to the times and industry needs. This should be focused on support to upskilling and skill training to support economic diversification into agribusiness, tourism and construction which provide opportunities for large numbers of young people to engage in non-farm work in both rural and urban areas. Design labour regulation to support growth of formal and informal jobs by easing the cost of compliance and encouraging the expansion of small businesses run by the youth. The youth are also encouraged to show responsibility by utilizing funding resources based on their business plans to yield better outcomes for repayment and subsequent benefit for other youths because these loan facilities are designed to work as revolving funds. Non-payment of loans by youths presents a challenge for growing the base of young entrepreneurs and Government must align its strategies to increase incubation support to businesses to create a generation of innovative entrepreneurs with unlimited potential to grow. Given the tenacity, brilliance and innovation demonstrated by many Zambian youths, a “Generation Unlimited” is apt and befitting and clearly demonstrated by the abilities and milestones that have been scored by our youth in the Agriculture and Economic Sectors, Sport, Media, Mining, Robotics Innovation, Leadership, Film and Music Industry and many others too numerous to mention. And this has been made possible by Government efforts to deliberately create a conducive environment for the youth to thrive and giving leadership opportunities to young people that are serving as members of parliament and senior Government officials and those leading in the private sector. In line with the Government’s National Youth Policy and National Action Plan themed “Towards Skilled, Enlightened, Economically Empowered and Patriotic Youth Impacting Positively on National Development” there is need to break more barriers through closer collaboration between the Ministry of Youth and Sport and relevant Government agencies and stakeholders to report on progress and resolve challenges affecting the youth in the country.